On Monday, the much-maligned “Housing and Planning Bill” gets its second reading in Parliament. While the detail of the bill has been well publicised (extending “Right to Buy” to housing association properties, forcing local authorities to sell off their most valuable stock), the drip-drip of information surrounding the potential catastrophe this may cause doesn’t seem to have been collated. But first, to understand the context of this latest assault on the social housing sector, it’s worthwhile looking back at the decades-long CV of career poor-beater’s the Tories. You can trace the origins of “Right to Buy” back to Tory-run Birmingham City Council which, in 1922, authorised the sale of council-owned properties to its tenants. The council offered occupiers of municipal housing the chance to borrow up to 99% of the value of their property to purchase it, and by 1934 the Birmingham Municipal Bank (originally set up to funnel people’s savings into the WW1 pot) had loaned £1,343,917 to over 4000 people (along with the flogging-off of public allotments as well); the whole scheme was instigated by future Tory Prime Minister Neville Chamberlain. In 1957 the Tory government brought in the “Rent Act”, which abandoned the controls on private rental prices (which had been in place since WW1) – a measure done under the façade of “improving” conditions for the occupiers. What it actually did was allow rogue landlords (see the term “Rachmanism”) to abuse, neglect and ultimately profit from their tenants, all for the benefit of the “Free Market”. As Harold Wilson searingly put it in 1963, referring to rogue landlords: “Sometimes one turns over a stone in a garden or field and sees the slimy creatures which live under its protection. This is what has happened in these past weeks”. In tandem with the Rent Act, local authority subsidies for housing were slashed, and Tory councils began implementing rent schemes on their housing stocks – which set prices based on the rateable value of the property, in effect raising the costs up to those of the private sector (see the St. Pancras rent strikes of 1960). In its 1972 Finance Act, the Tory government introduced much higher ‘fair rents’ for council tenants, based on private sector principles and levels – again selling this to the public under the guise of helping the poorest (this time the homeless) – which led to the famous “Clay Cross Dispute” of 72-73 (where a council refused to implement central government policy; an event many present day Labour-run local authorities would do well to study). 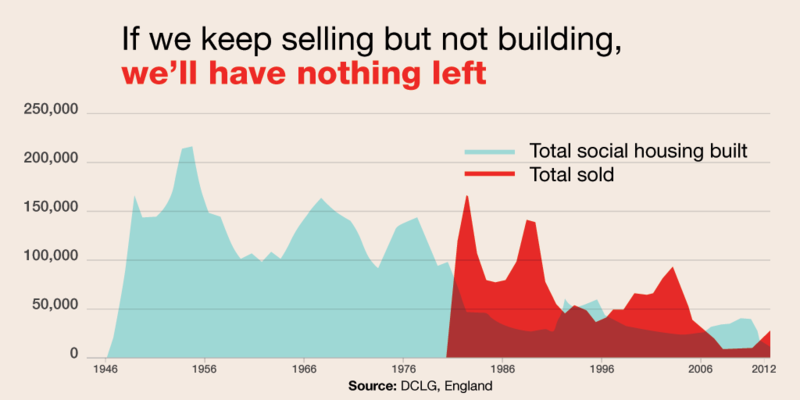 Under Edward Heath, the Tories began the selling-off of council housing stock, depleting it 7% by 1974, whilst house building had dropped to its lowest levels since 1959. 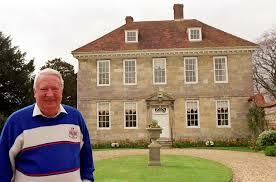 All of this, of course, can now be seen to be the intentional manipulating of the housing market – note Heath’s tenure was characterised by having the highest increase in house prices of any Prime Minister. 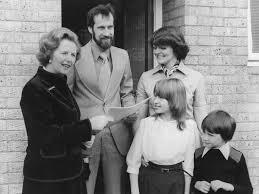 Little needs to be said for the actions of Margaret Thatcher during the 80’s. Over 1 million council homes sold, valuing £18 billion and with the money intentionally stopped from being invested in new homes saw social housing completions collapse by 75%, with just 23,000 being built in 1990. So, fast-forward to the present day and the Housing and Planning Bill presents the Tories with another glorious opportunity to further enhance their poor-beater CV. Major concerns have already been expressed about the effect it will have on poorer families living in rural areas. Because there are no guarantees offered as to where new housing stock is going to be built, the Campaign to Protect Rural England has argued that the areas it represents should be exempt from the new legislation, stating “As homes bought under the right-to-buy scheme are inevitably resold on the open market at prices way beyond the reach of those they were built for, families and young workers face the prospect of being forced out”. Housing Associations have already appeared to capitulate to the forthcoming onslaught. The National Housing Federation are reported to have voted in favour of the legislation by 86% (representing 93% of the sectors homes). Its Chief Executive, David Orr, said Associations were “ready and willing to work with (the government) to deliver its manifesto commitment”, adding that the vote signalled the majority of members were “in favour” of a voluntary delivery scheme of the Right to Buy legislation. The proposed plans to force local authorities to sell off their most valuable properties looks disastrous, at best. Aside from the fact the government is ignoring the fact many of these properties are adapted for the disabled, it also appears to brush over the serious effect it will have on council’s ability to replace these homes. Council building programmes are based on assumed revenue from the selling of it’s incumbent stock – but at its full market value, with the full receipt of the sale. The money from these sell-offs will now be funnelled into central government coffers to fund Right to Buy. Moreover, this policy may well directly impact local authorities’ ability to borrow to fund new social housing builds in the future, as any investors will be wary of lending money when there is no long term return guaranteed. 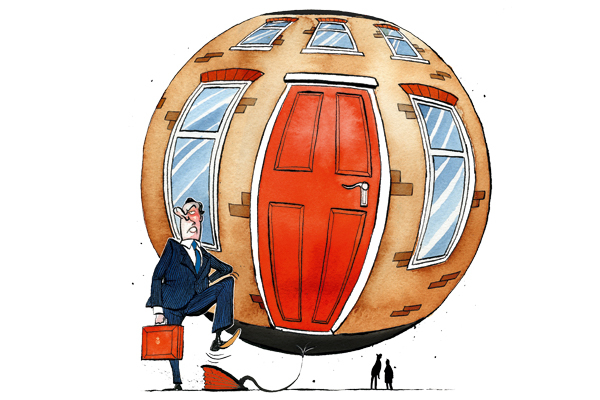 The Right to Buy scheme as a whole will also just add more air to an already inflated housing bubble, by pumping more debt into the housing market with no guarantee of the sold stock being replaced – and this is already a bubble which looks positively fit to burst. But ultimately, it is the effect it will have on those who live in, and are in need of, social housing that has to be the most nefarious part of this. As I have written before, the “Home Ownership Dream” is just one big con to increase the wealth of the richest in society. Extending the right to buy to housing association properties is an unashamedly dangerous policy, showing no care for the 1.3 million households it may prove disastrous for. Personal debt is already at record highs, and we are now seeing the return of “sub-prime mortgages” to the UK (those high interest, high value loans to those with bad credit which, in part, caused the last financial crash). The government and those in its “Chumocracy” will stop at nothing to squeeze a bit more money from those that can’t afford it (on the promise of a life of “security” and something to leave to your kids), but when it all goes wrong, and the bailiffs come knocking, who benefits? They do. 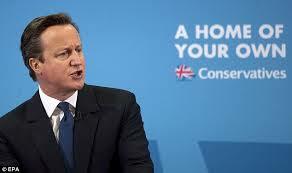 And none of this addresses two of the biggest scandals’ of our age – the number of households on social housing waiting lists (1.4 million in 2014, while only 43,000 new homes were built), and the shocking 55% increase in homelessness since David Cameron assumed office in 2010. In fact, this self-serving piece of legislation by the odious bastards in the Tory Party will probably just worsen these already sickening statistics. When the Housing and Planning Bill finally gets voted on, opposition parties must do everything in their power to stop this despicable legislation becoming law. The UK does not need another act by a positively revolting Tory Government, that does nothing but violently attack the poorest in society, while disguised as an “opportunity”. It needs social housing, and it needs it quickly.